One of the fantastic benefits of having been to Sircus school is that I have been introduced to less known training methods and equipment, and Rollabolla is definitely something I had never heard of before attending school! 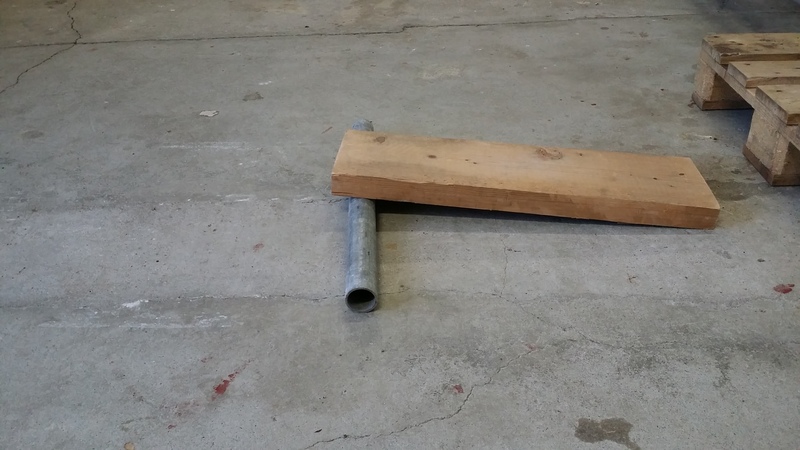 Rollabolla is one of the simplest and most effective training devices for balance I’ve ever tried (except for fences and stones). It’s simply a board and a pipe, but don’t let its simplicity fool you! It will teach you balance, give you faster reactions and give you a taste of the floor if you let it! You simply place the board on the pipe, stand on top of it and try to balance while the pipe tries to roll under the board. Start with your feet about a shoulder width apart, and make it increasingly difficult by putting your feet closer together on the board. If you’re the adventurous type you can try doing a handstand on it or putting two on top of each other. Make sure to clear the area around you so that you don’t hit anything other than the floor if (when?) you fall!